American film and television actor Kyle Chandler has an estimated net worth of $5 million in 2013. He is best recognized for his role in Super 8, where he portrayed the role of Deputy Jackson Lamb. He is also known for his appearances on TV shows including Friday Night Lights as Coach Eric Taylor, Dylan Young on Grey's Anatomy, and Gary Hobson on Early Edition. In 2011, he won a Primetime Emmy Award for Outstanding Lead Actor in a Drama Series for his appearance on Friday Night Lights. 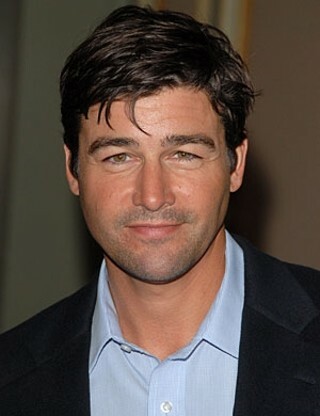 Kyle Martin Chandler was born on September 17, 1965 in Buffalo, New York, United States. Since 1995, he has been married to Kathryn Chandler, with whom he has two children named Sawyer and Sydney. Chandler is a graduate of George Walton Academy, and University of Georgia. Kyle Chandler was recently seen on the TV show The Vatican, where he played the role of Cardinal Thomas Duffy. On film, he is noted for his appearance in Argo as Hamilton Jordan, and Joseph Bradley in Zero Dark Thirty. In 2013, his film projects included Broken City, The Spectacular Now, and The Wolf of Wall Street.